If there is one thing in the world I simply cannot resist, despite it's nasty ingredients - it is Rafaello! I absolutely love it, but I only have it 2-3 time a year, usually for my birthday or special occasions like our wedding anniversary or Christmas. 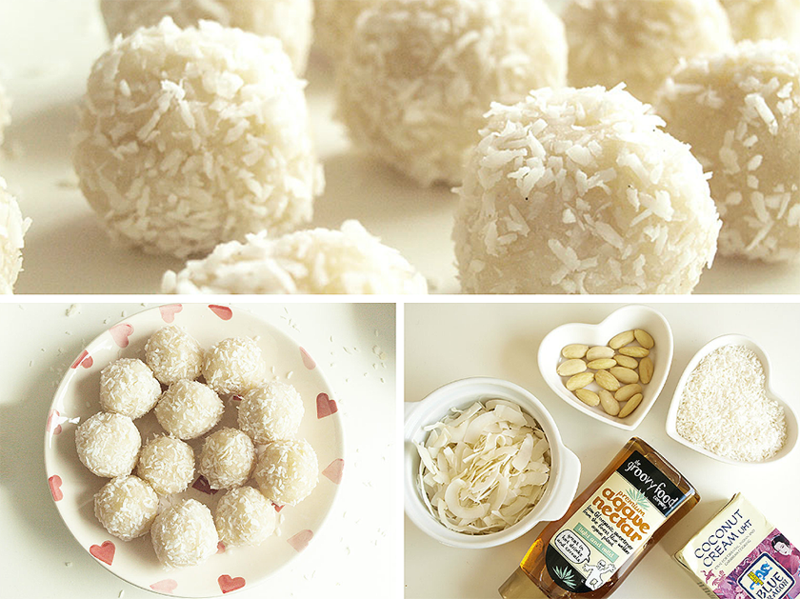 That's why I decided to try a clean version of my beloved naughty coconut treats, made with healthy ingredients. I can happily report, that my first attempt was a success and I can now enjoy (raw and vegan) Rafaello without feeling guilty about it! *does happy dance, screams and cries with happy tears*. 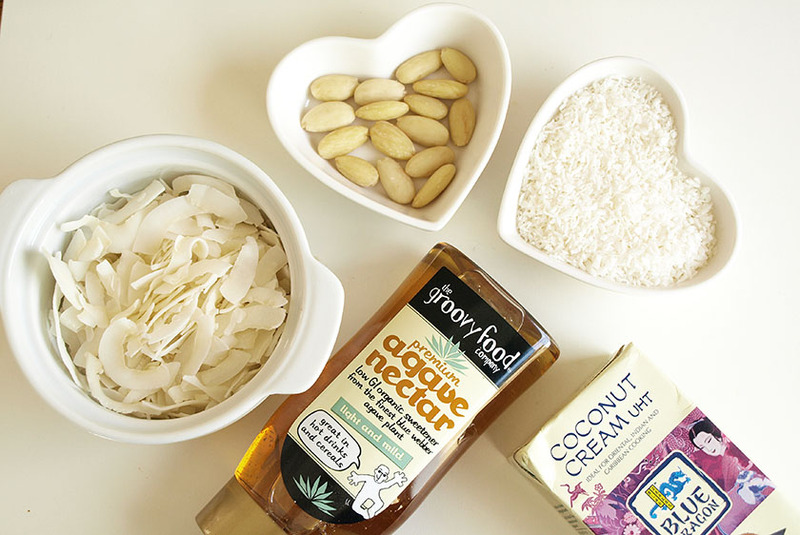 -If you buy coconut butter, you can skip this step, which was probably the most time consuming thing to do, even in the Vitamix. I threw in 200g of coconut flakes into the blender, added a splash of coconut cream and blended it for about 3 minutes - with breaks to stop and stir etc. The mixture was absolutely roasting at the end as well, so I would advise you to just order coconut butter online or get it in a health store. You will need 4 tbsp of it. 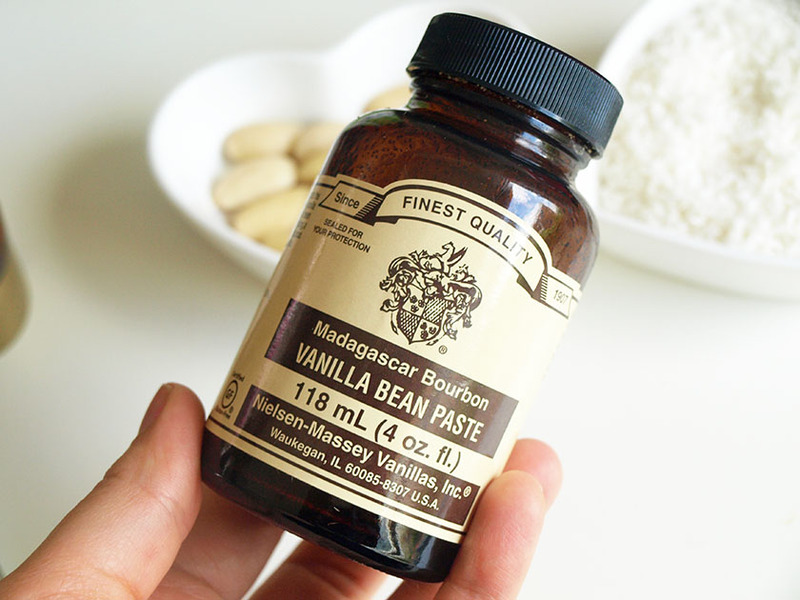 -Put your coconut butter (preferably creamy) in a food processor (I used the Vitamix again), add shredded coconut, agave nectar and vanilla bean paste and process until smooth. 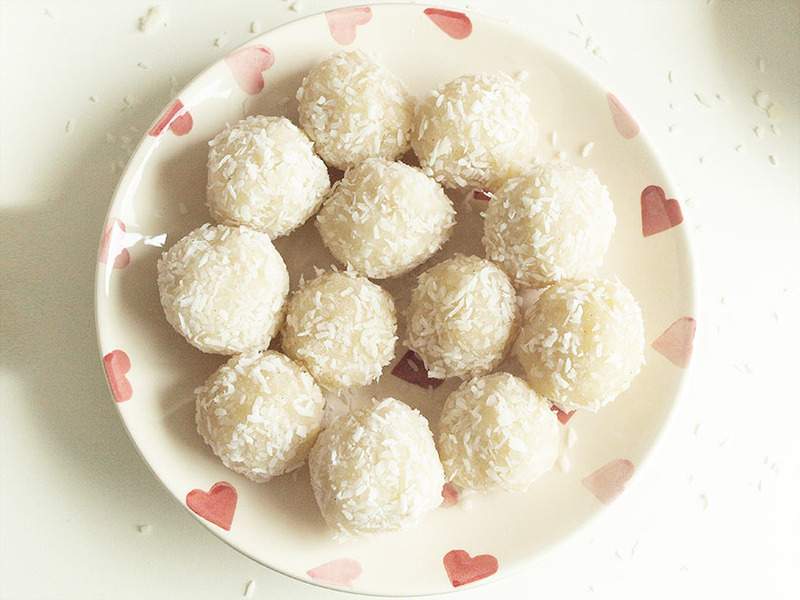 -Form little balls, with an almond inside and roll them in coconut flakes. 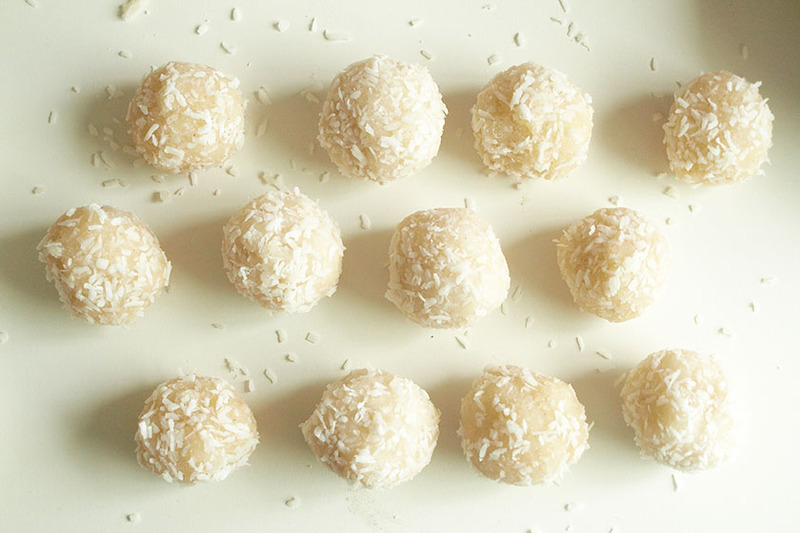 -Put your healthy Rafaello bonbons in the fridge for 20-30 minutes and enjoy! I also made a chocolate version for my husband, with added cocoa powder and Choc Shot Sauce. 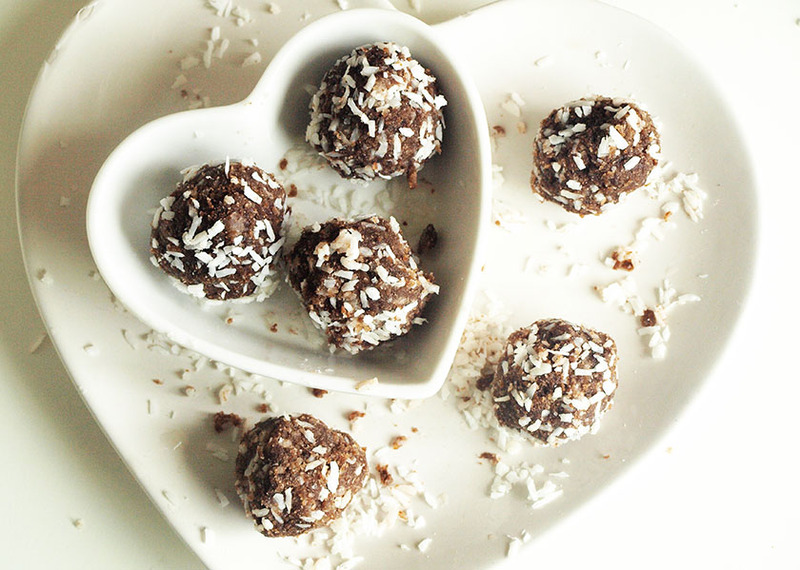 That's it - super easy raw vegan Rafaello bonbons! 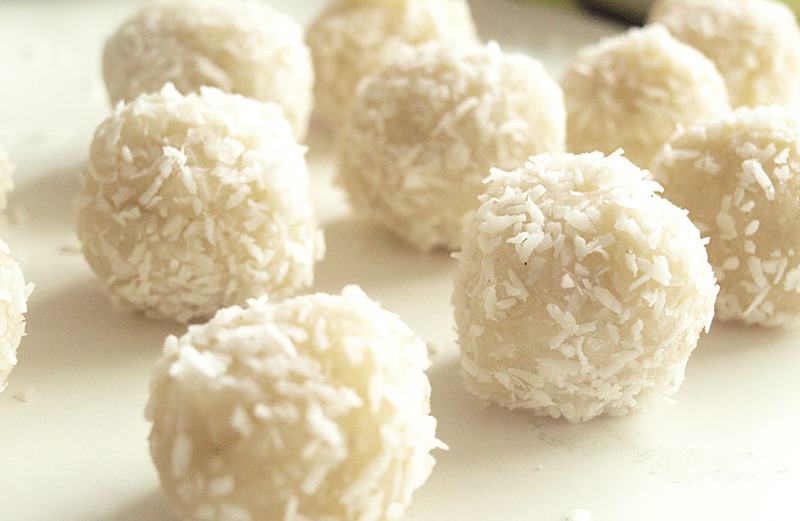 If you use coconut butter, it will take you about 10 minutes to make these and they will have a more creamy texture than my version. 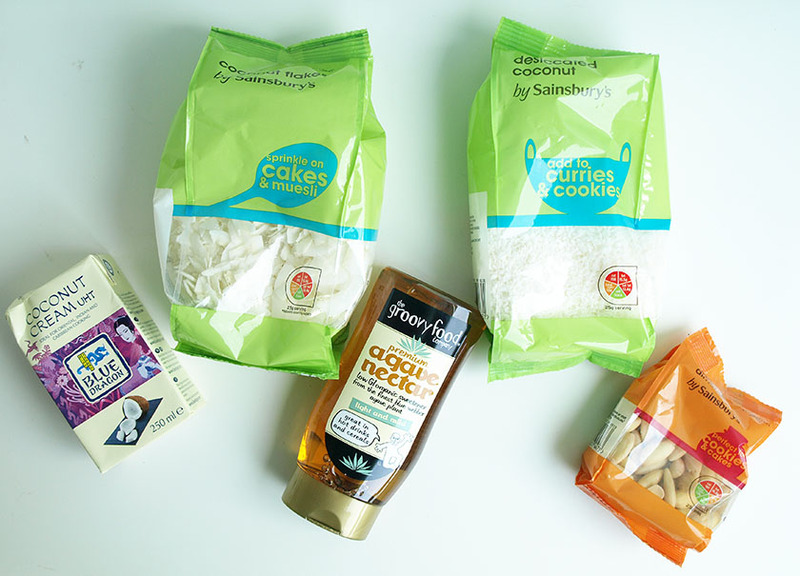 They are absolutely delicious, healthy and guilt free! I am eating one right now and believe me- I won't be buying the nasty version ever again! Do you love Rafaello? Are you excited to try the clean version?